During the winter months, large numbers of Bald Eagles congregate along the river to feed on salmon carcasses. A decade ago there was nearly 4000 Bald Eagles. 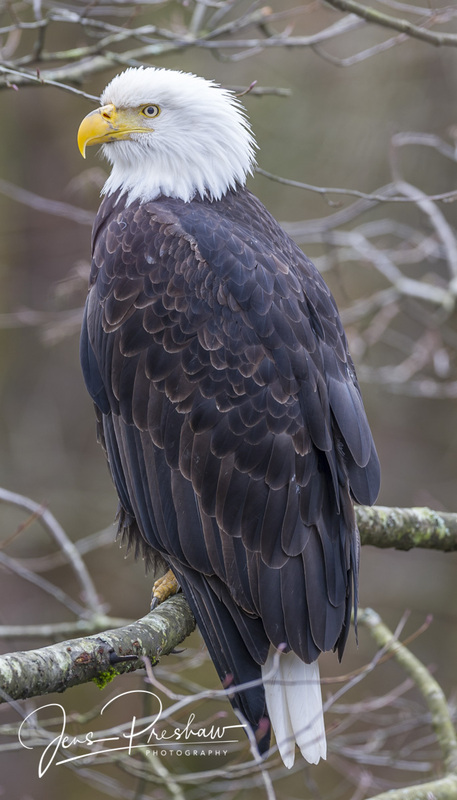 In January 2016 it was one of the lowest Bald Eagle counts in the 30 year history, with only 411. This morning, I was photographing this Bald Eagle perched in a tree along the river. This entry was posted in Autumn, Birds, British Columbia, West Coast, Wildlife. Bookmark the permalink.